In conjunction with Beta Machinery Analysis, Lo-Rez has developed specific design methods to account for the magnetic field effects in an induction motor driving a reciprocating compressor. Presented in two papers given at GMRC 2013 and 2014, the effect can be very large in some cases, raising the torsional natural frequency into the compressor operating speed range. The second paper provides a way to estimate the resulting stator current pulsations. Contact Ed Hauptmann (ed@lo-rez.com) for further information or a copy of the papers. 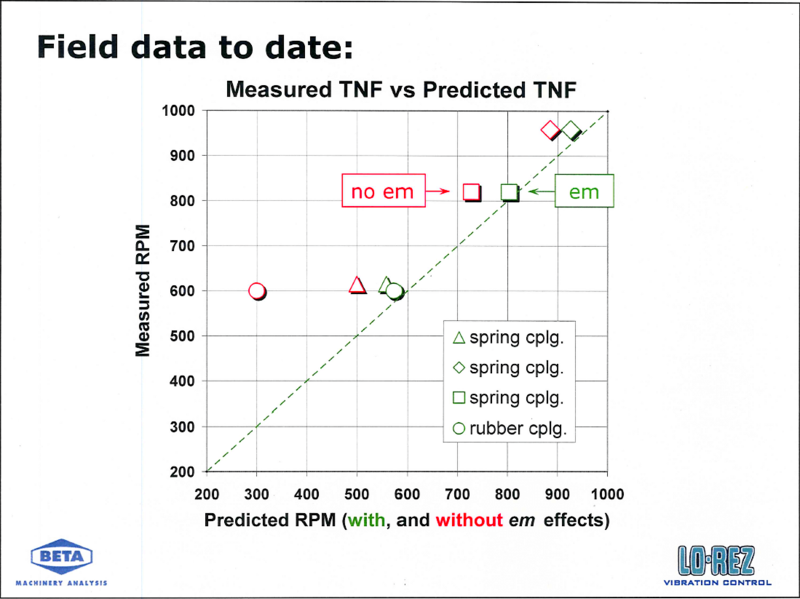 Early field data indicates good comparison between theory and measurement as shown.